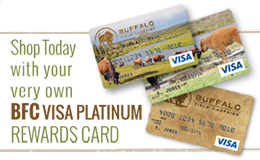 In addition to the thousands of individuals who support Buffalo Field Campaign (BFC) from around the world, a growing number of generous and socially responsible businesses contribute to our buffalo defense activities. Through monetary donations and material contributions in the form of food, clothing, equipment, and training—they make us even more effective. The following companies are among those that have been especially supportive of BFC’s work. We are grateful for their generous contributions, and for their help defending the majestic and precious buffalo of Yellowstone. If you do business with them, please let them know you appreciate their contributions to BFC! Clif Bar and Clif Bar Family Foundation  – supports BFC with financial grants and makes very generous donations of high energy, tasty patrol snacks to keep the BFC team powered up, warm, and happy. Klean Kanteen – has joined with BFC to host fundraising events, and also donates reusable stainless steel drink ware, including pint cups and water bottles. Living Tree Community Foods  – provides sustenance for field patrols with natural foods such as nut butters, and helps spread the word to save the herds by posting BFC news and information through their weekly email newsletter that is sent to 14,000 customers. LUSH Fresh Handmade Cosmetics – has been one of our top funders through their Charity Pot program, providing generous funding in 2015, 2016, and 2017. In the spring of 2016, a crew of LUSH employees travelled to BFC’s West Yellowstone headquarters to volunteer in the field. Morning Glory Coffee and Tea – donates fair trade coffee to help energize our volunteer office gurus and field patrols from pre-dawn to late night on the Yellowstone frontier. Osprey Packs  – equips BFC patrols with backpacks, contributes product donations to special fundraisers, hosts events to raise funds and awareness, and provides financial support through their pro deal purchasing program. Patagonia  – has been a steadfast supporter of BFC since our inception through generous financial grants, professional and strategic support, donations of outdoor clothing and gear, employee volunteer internships, and BFC staff trainings through their one-of-a-kind “Tools for Grassroots Activists” conferences. Strictly Organic Coffee Co. – contributes fair trade organic coffee to keep BFC patrols warm, content, and alert. Traditional Medicinals  – keeps BFC supplied with a variety of healthy and delicious teas and herbal products. Zoo City Apparel - Art & Image Creative Resources, designs BFC's Annual Wild Bison Calendars and assists with production and printing of other projects. Having learned about the contributions of the generous companies, are you inspired to make your own contribution today? BFC's goal is to stop the slaughter and harassment of Yellowstone's wild buffalo herds, protect the natural habitat of wild free-roaming buffalo and native wildlife, and to work with people of all Nations to honor the sacredness of wild buffalo. Copyright © 2016 Buffalo Field Campaign.